Backed by more than 35 years of experience in the flooring trade, you can rely on us for flooring of the finest quality, accurate measurements, and seamless installations. 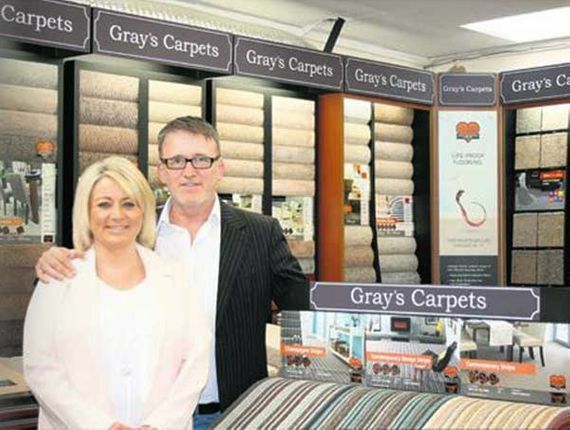 Gray’s Carpets caters to both domestic and commercial customers who are looking for first-class carpets and floor coverings. We provide a wide range of carpets and vinyl options as well as laminate and wood floor coverings from all of the leading manufacturers in our flooring shop, so make sure that you visit us today in Warminster, Wiltshire. Our team of professionals offer handy site and home visits to discuss all of your needs along with free, no-obligation quotations and samples. Alternatively, we can send you a quotation via email if this is more convenient. Customer service is important to us, and as a respected company with an excellent reputation as well as a wide, loyal customer base, we are proud to have recommendations and long-term working relationships with many of our clients. For further advice and information, please visit us at one of our showrooms where we are able to offer our professional guidance and make the process of choosing your floor coverings easier. We have hundreds of different styles and colours of carpet to choose from, including a variety of stock items that are available at prices kind to your budget. To make the whole process easier for you, we are not a supply-only company. Our dedicated, hard-working team bring to you a complete installation service, with long-term floor fitters that have been employed directly by us. They are more than capable of installing floor coverings swiftly and professionally with minimum mess or fuss. Even the removal and replacement of most of your furniture items will be dealt with by us. Boasting high-quality workmanship for more than 20 years, we take care of the whole process from start to finish with a measuring and installation service. You will have the floor of your dreams carefully yet swiftly installed in next to no time with the help of our professionals. Contact our flooring shop in Warminster, Wiltshire, to speak to our professionals about flooring options.